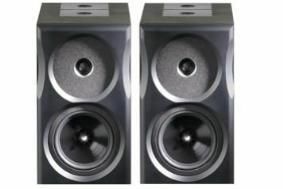 BRISTOL SHOW 2011: Neat adds second model to Ultimatum range | What Hi-Fi? The speaker uses two 16.8cm mid/bass drivers mounted isobarically, with the modified 26mm SEAS XL Sonomex domed tweeter mounted in its own sub-chamber. A further internal chamber houses the two upward-firing super HF drive units, which are 25mm EMIT planar/ribbon types. The cabinet, which stands 38cm tall, is made from slow-grown birch ply, chosen for its consistency and resonance characteristics, while the front baffle is routed from controlled density fibreboard, coupled to the cabinet using a polyethylene membrane. A range of finishes will be available: Rosenut, Black Ash, Walnut, Oak and Figured Birch are the standard options, with high gloss Velvet Cloud, Red Velvet Cloud and Piano Black available at extra cost.